Home » List Building » How to Get 1000 Email Subscribers in 30 Days! 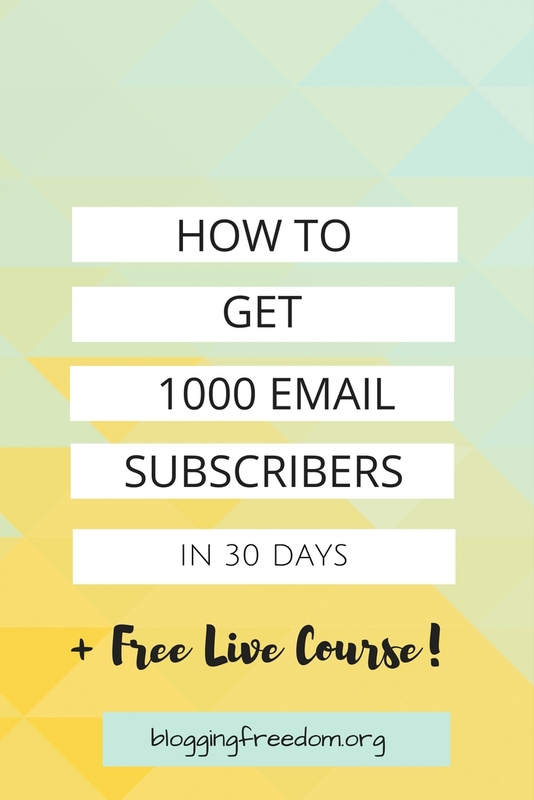 Do you struggle with getting your first 1000 email subscribers? Let me show you how to rapidly grow your list in 30 days! It doesn’t matter how experienced a blogger you are, you may struggle with getting email subscribers. All you need to do is figure out what you can give away for free to your audience that will entice them to give you their emails. For more information you can look at http://Beyondthelimitscleaning.com. And then, promote that thing…everywhere! How do you figure out what your audience wants that badly? Look at 3 (big) bloggers who are in your niche. What are they giving away as a freebie? Planners, video courses, email courses, worksheet, printables? What are the topics of these free resources? What words do they use to promote the freebie on their opt-in? Where do they promote this freebie? Your job is to internet stalk them so that you can learn what they use to be successful. Also another way to attract more audience is to look good, people tend to follow good looking people, get a new look at http://www.sicac-salon-couteaux.com/. Note where they have their freebies located (they have it in 5 different places on their blogs, they have an entire domain for their freebie, they have an FB group where they push the freebies on every person that joins, they have entire pins dedicated to just their freebies, etc.) and put them in the same places in your business. Well, once you have all your beautiful freebies strategically placed on your social media platforms and your blog, you need traffic! There are some great, easy (and free) ways to get eyes in front of your freebies. Here are some of my fav ways to get hundreds of subscribers in a matter of days. So this is an example of a Facebook ladder and I literally went on Facebook and found this in like 5 minutes. You’ve probably seen them before and more than likely, you’ve probably been a part of one. 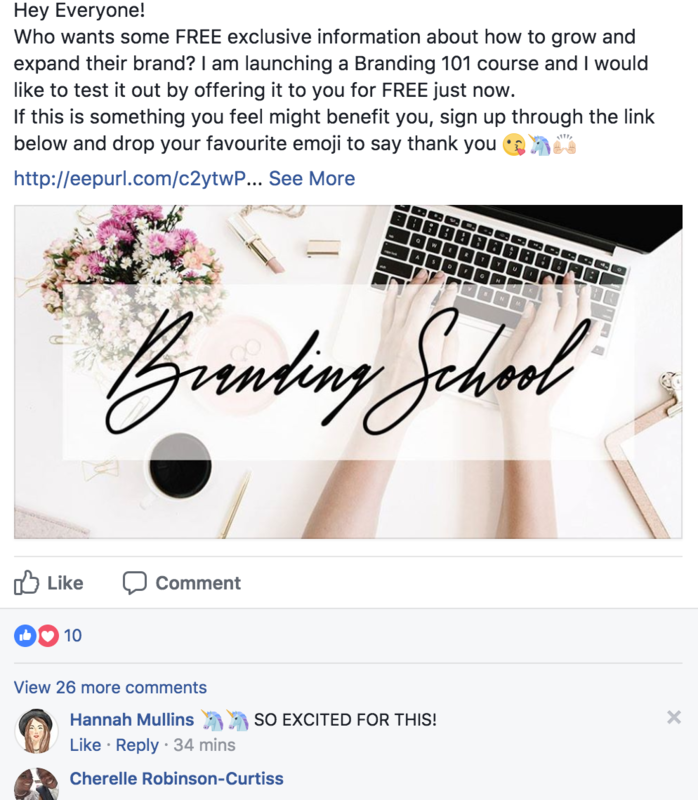 It’s simply where you offer something for free (usually in an FB group) and in exchange, you ask people to comment on your thread so that it can boost your post and move it up the wall, where more people will see it and opt-in to your freebie. Check out my post here where I did my very first Facebook ladder and got 700 email subscribers in one week. If you’re already active on Pinterest, then you can rapidly implement this strategy. Create a landing page (using LeadPages, Instapage or my fav, Clickfunnels) for each freebie. Create 2-3 attractive pins for your freebie. Then pin those directly to your group boards! By promoting the freebies directly, you’re getting straight to the point making it more likely for people to sign up for your freebie! The fastest and easiest way to get multiple email subscribers (and my most favorite) is through collaboration! Facebook challenges are, of course, my favorite way to collaborate with other bloggers because I’m able to give so much value and meet so many people! Have people sign up for your email list before they join your Facebook challenge. Check out this blog post to learn how to host your first one! Every time I host a challenge, I easily get 200-300 email subscribers. Also, consider doing a giveaway with other bloggers who have similar audiences. This works best if you can give something away related to your niche…and it doesn’t have to cost a thing! 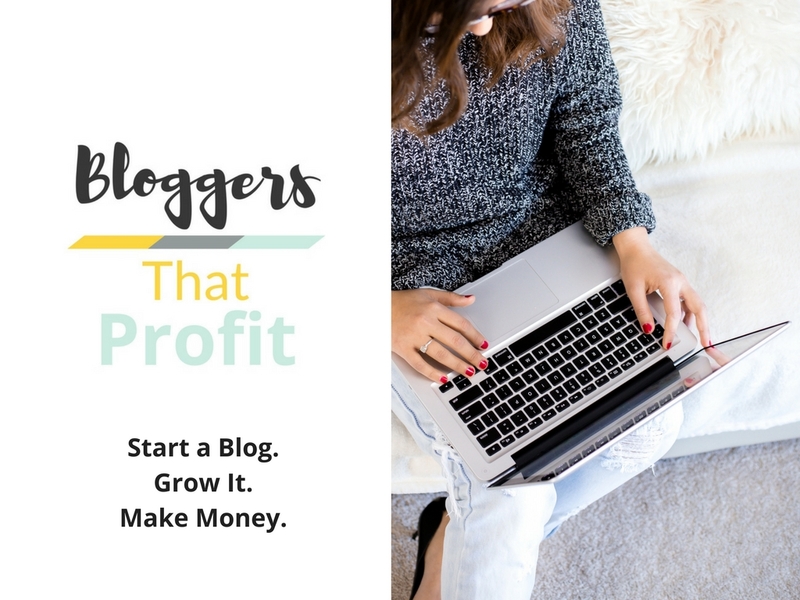 I’ve seen 20 or so bloggers band together and each gives away a freebie or a paid course away for free and label it as a bundle. Then they all promoted it on their social media platforms and collectively grew their email lists. This is a genius way to grow your email list and meets some friends in the process! It just takes focus! You have to focus on learning what will get your audience to respond and set up systems for you to get email subscribers every single day. If you have the great freebies, have them located in several places in your business, and consistent in driving traffic to those freebies, you will continue to grow your list! Want to learn how to rapidly grow your email list in the next 7 days? Check out my 7 Day List Building Challenge! I use ConvertKit and I absolutely LOVE it! It’s the best email autoresponder because it has a ton of options. Sign up here to get an FREE 30-day trial!